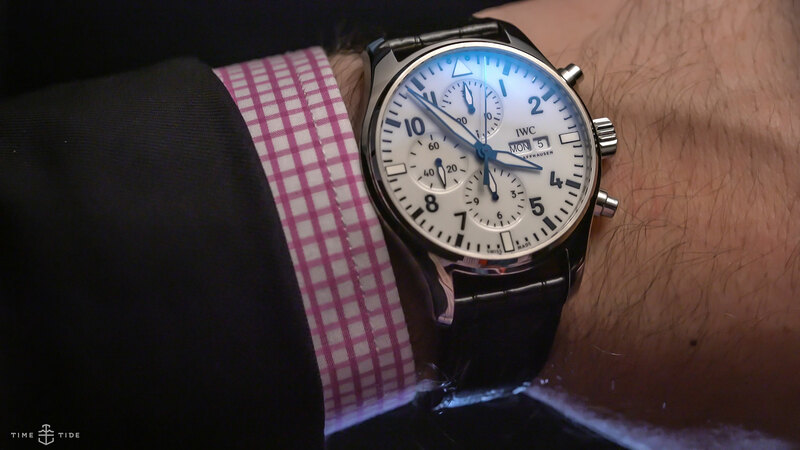 EDITOR’S PICK: The ultimate IWC Pilot’s Chronograph? Editor’s note: As far as birthdays go, 150 years is a whopper. 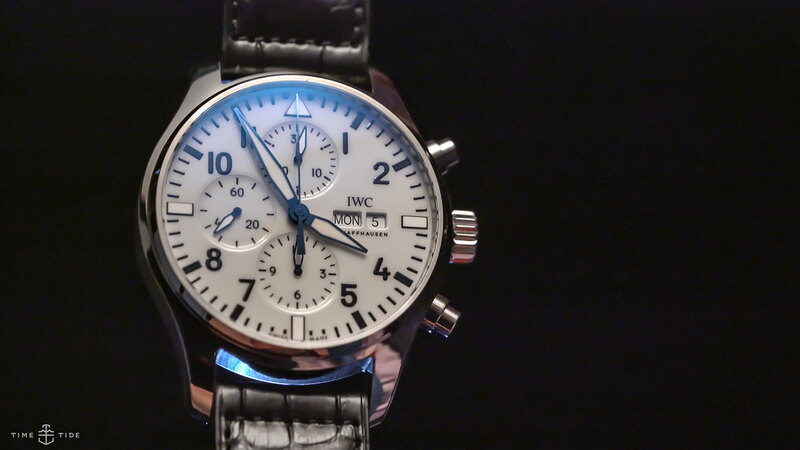 And amongst all the shimmer and shine of IWC’s celebratory jubilee collection sits this lusciously lacquered new dial variant of the perennially popular IWC Pilot’s Watch Chronograph. 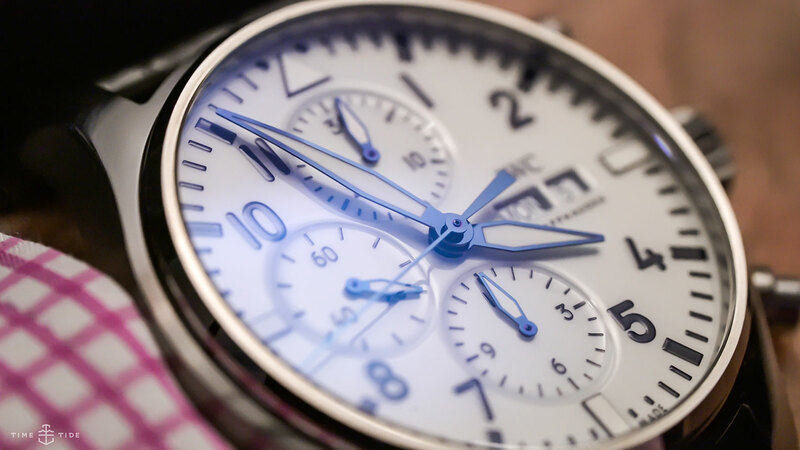 Silky smooth white dial, crisp blue hands, and an in-house made movement. Does it get any better? By now you’ve likely been beaten over the head with the endless coverage of IWC’s cool Tribute to Pallweber, with its jumping hours and minutes, and seen the additions to the growing Portofino collection. 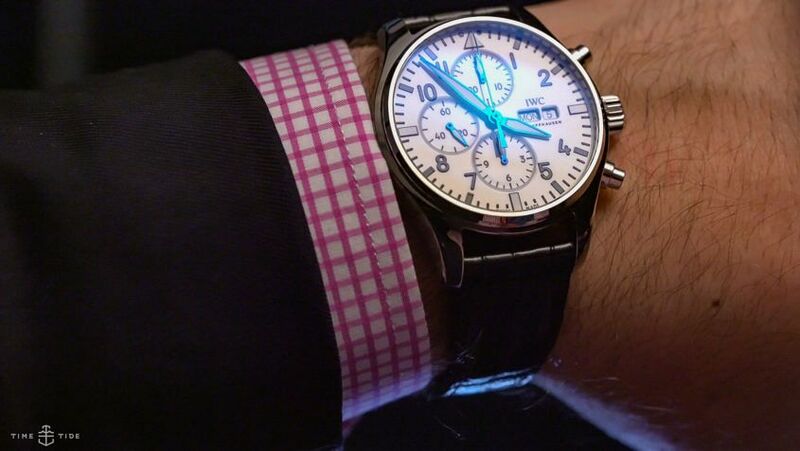 Hiding in the corner of IWC’s presentation, alongside a pair of Big Pilot models, rested a lone chronograph – the IWC Pilot’s Chronograph Edition “150 Years”. Limited to only 1000 pieces worldwide, this new version of IWC’s classic 3777 isn’t particularly groundbreaking, though it is one of the cooler interpretations we’ve seen in a while. Though at first glance this may seem like a simple white dial, a closer examination reveals something much more charming. All of the 27 watches in IWC’s new “capsule collection” unveiled for the brand’s 150th anniversary are fitted with either white or blue lacquer dials with printed indices, and either blued or rhodium-plated hands. A total of 12 layers of lacquer are applied to each dial before being finished in order to achieve a rich finish similar to that of the enamel dials from IWC’s rich archives. In the case of the 3777 Pilot Chronograph, its recessed subdials appear a fair bit more three-dimensional than they do on the standard black dial model. As noted above, this example comes fitted with crisp blued-steel hands, providing a fairly significant hit of colour against the glossy dial. Conceptually, we wouldn’t have necessarily thought that these traditional finishes would translate to such an iconic modern tool watch, but having seen it in the metal, the old-meets-new mash-up somehow comes together surprisingly brilliantly. While normally a new dial configuration isn’t something we’d get too excited about, there’s a hint of logic to us singling out the Pilot’s Chronograph 150 Years. ‘Tool watch’ chronographs in a white dial aren’t all that easy to come by these days, and other than the Rolex Daytona, AP Royal Oak, and Omega Speedmaster, we’re hard-pressed to think of another example that isn’t more suited to the 9-to-5 set.